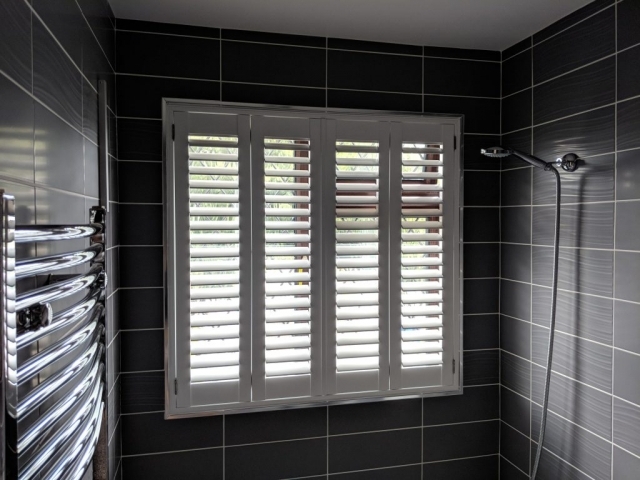 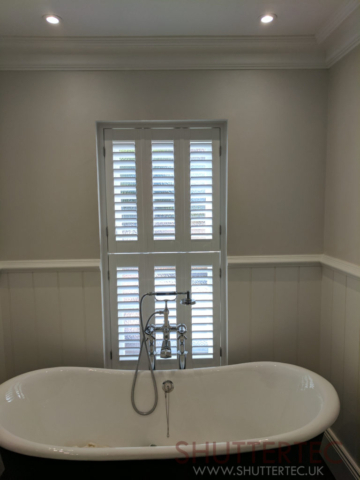 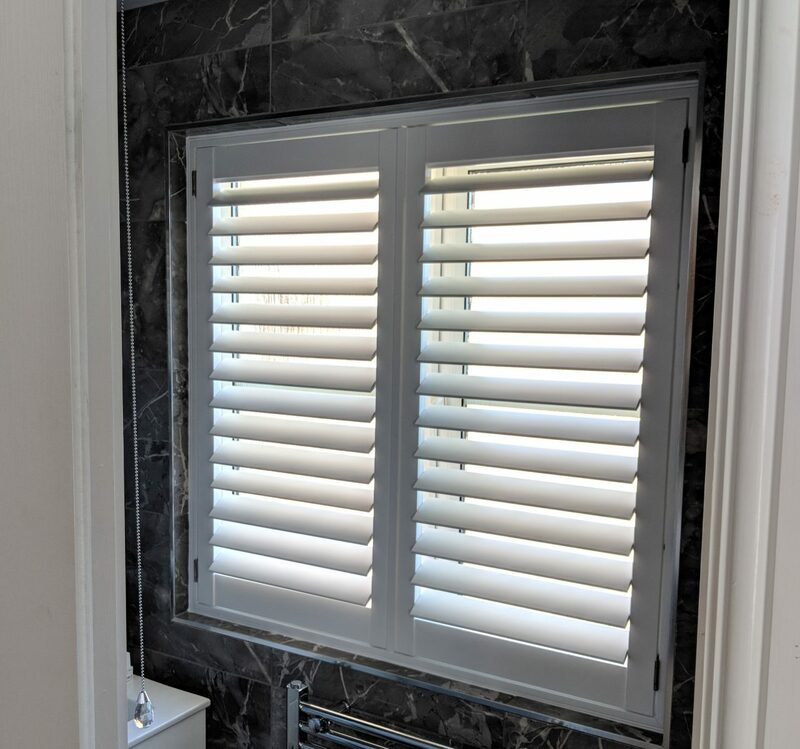 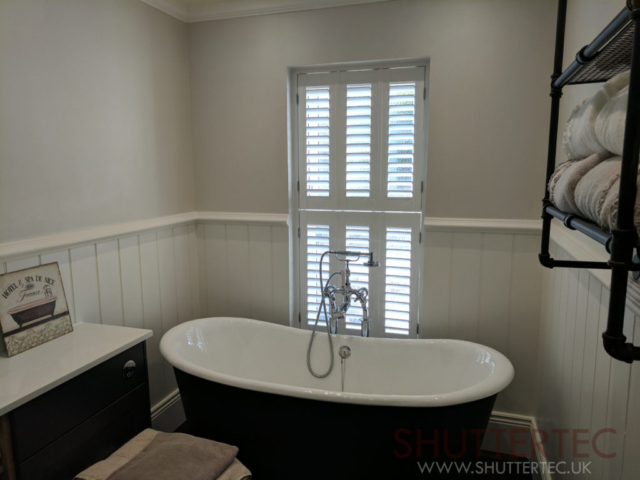 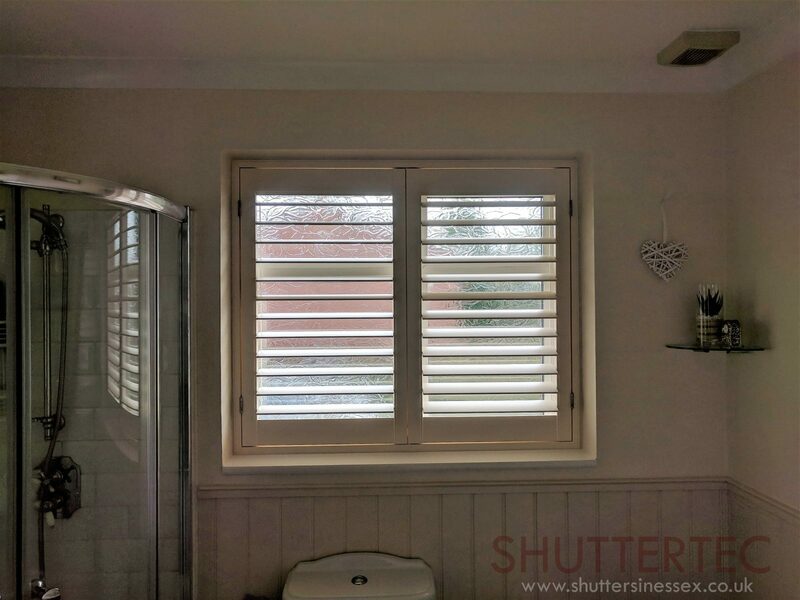 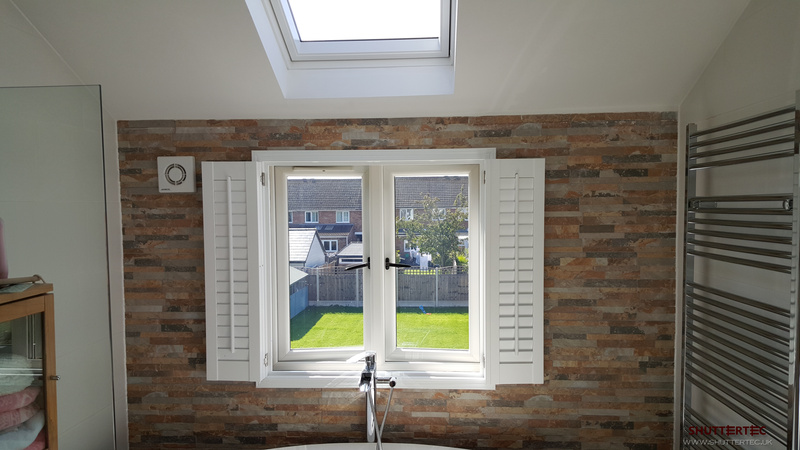 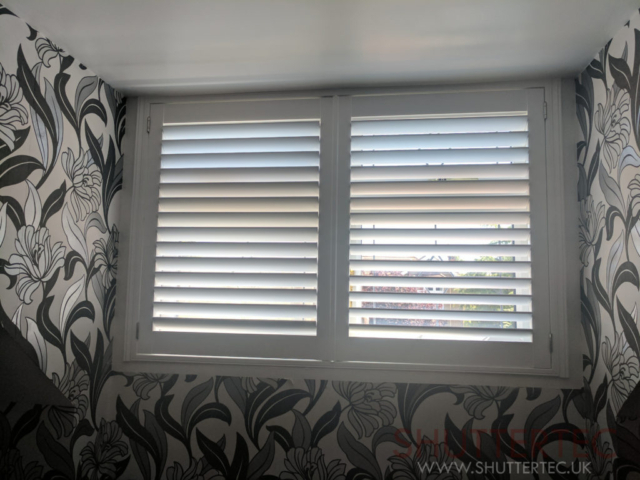 Our waterproof shutters are manufactured from a high grade ABS (a hard, lightweight plastic) making them 100% waterproof. 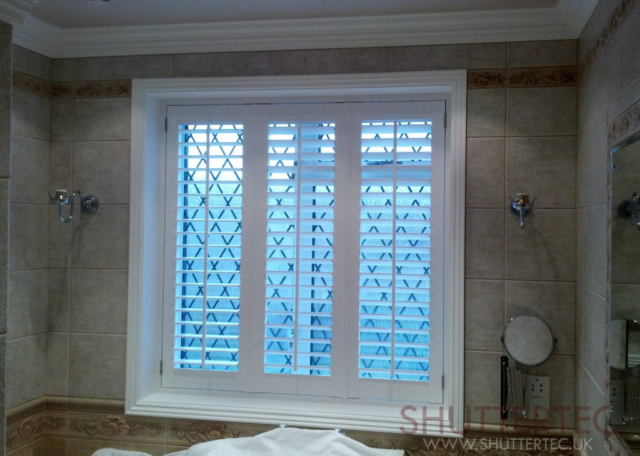 They are designed for areas where high moisture, condensation or humidity issues will affect wood. Perfection for bathrooms, kitchens, wet rooms and swimming pools! Stainless hardware as standard means this product is built to last in all matter of environments. 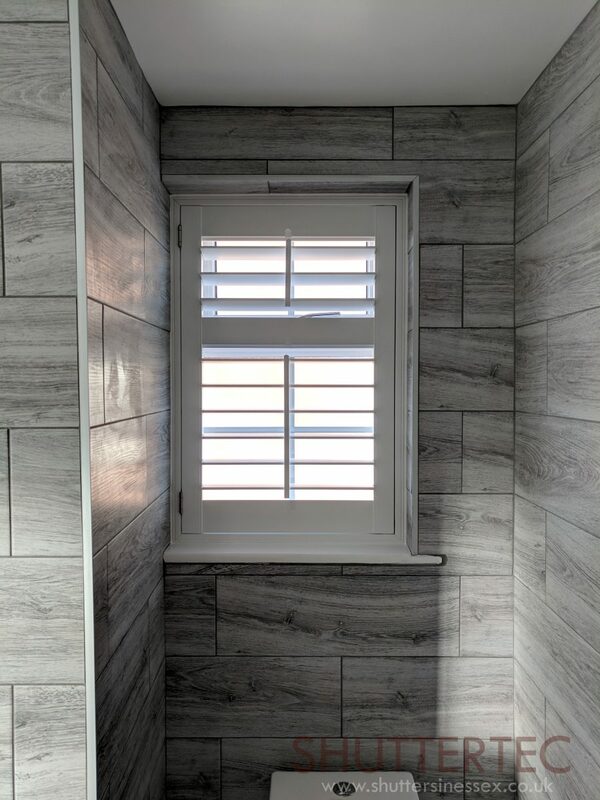 Strong, durable and finished to the same high standards as it’s wood counterparts, it’s almost impossible to tell it’s not wood! 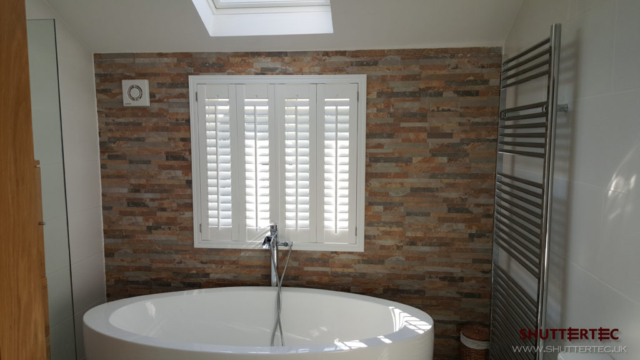 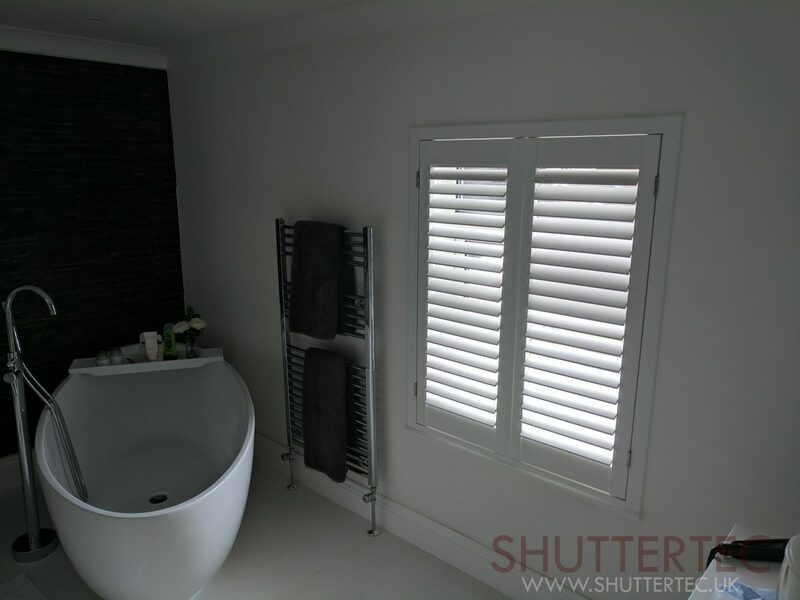 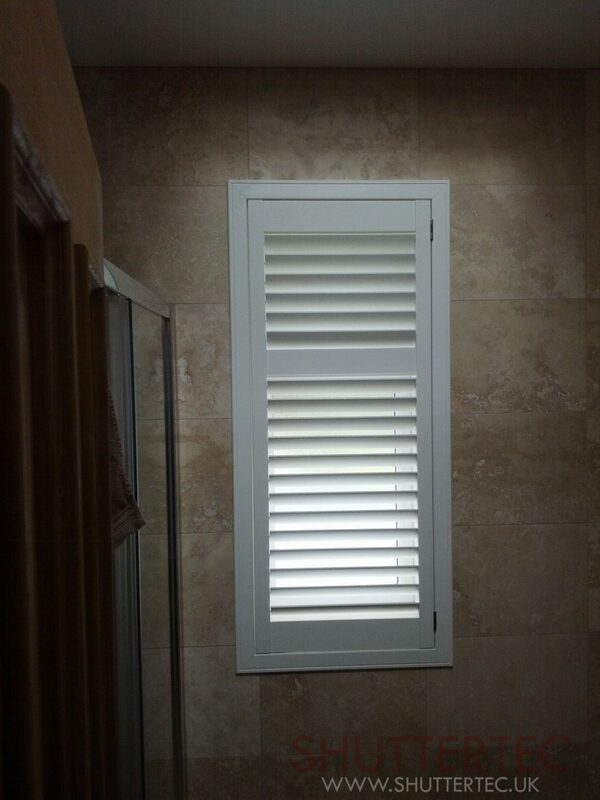 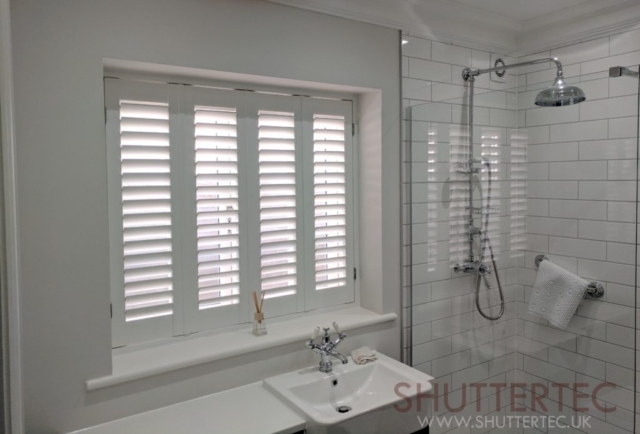 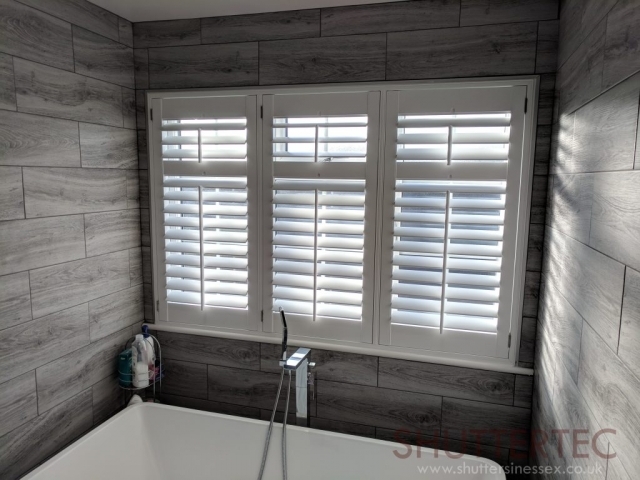 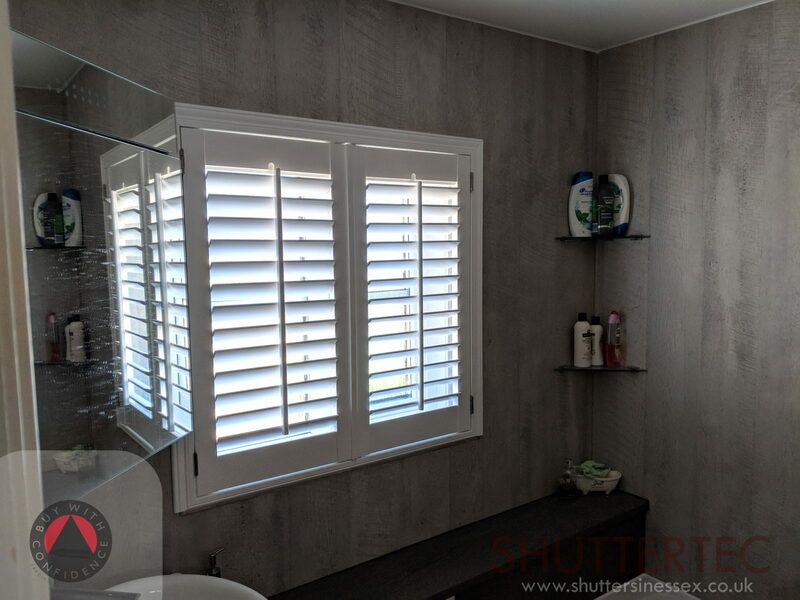 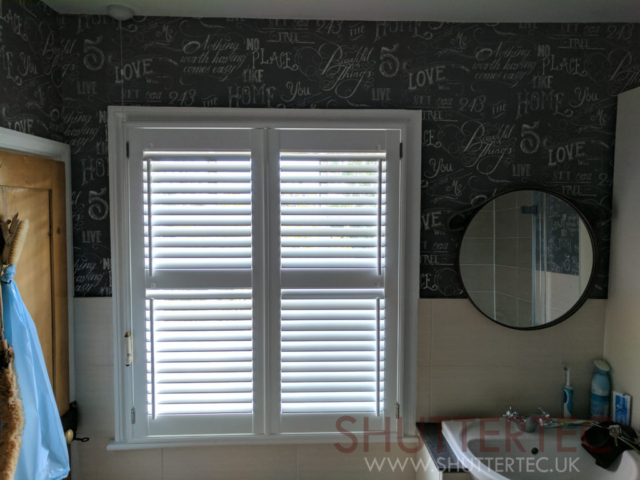 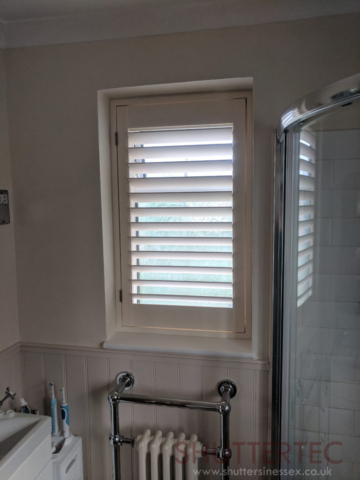 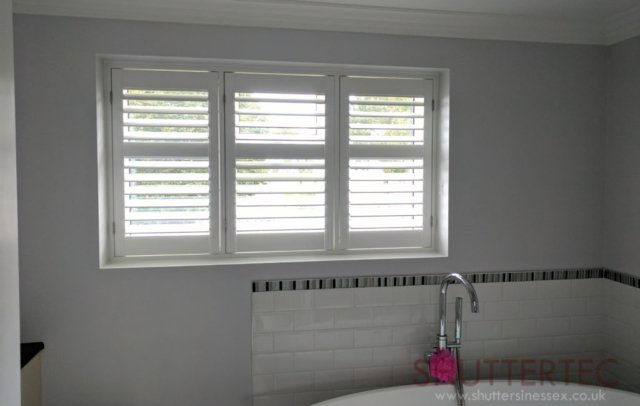 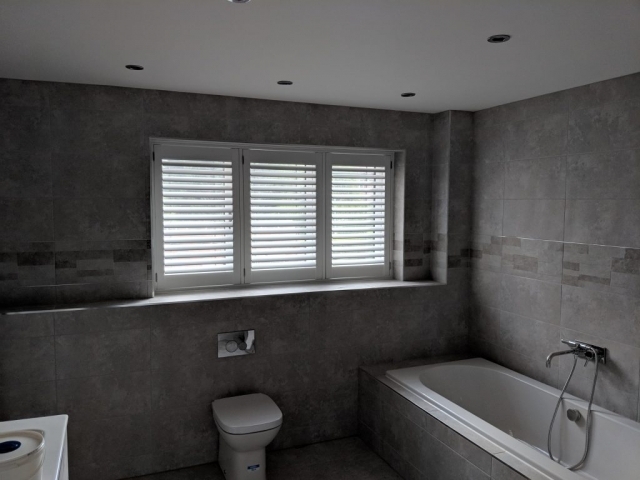 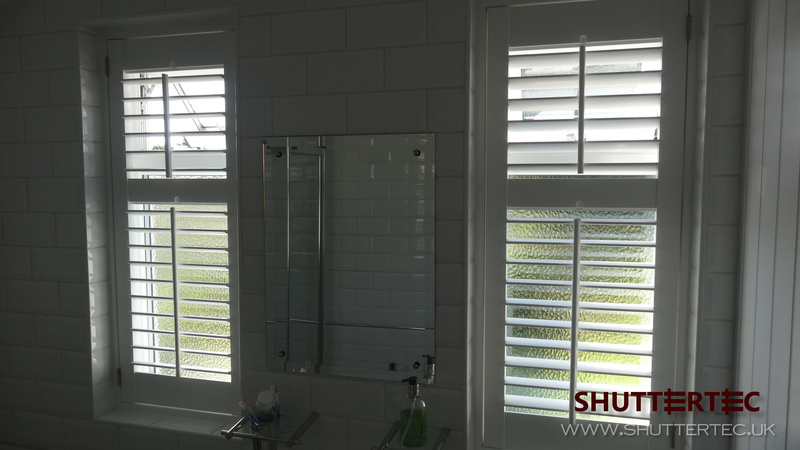 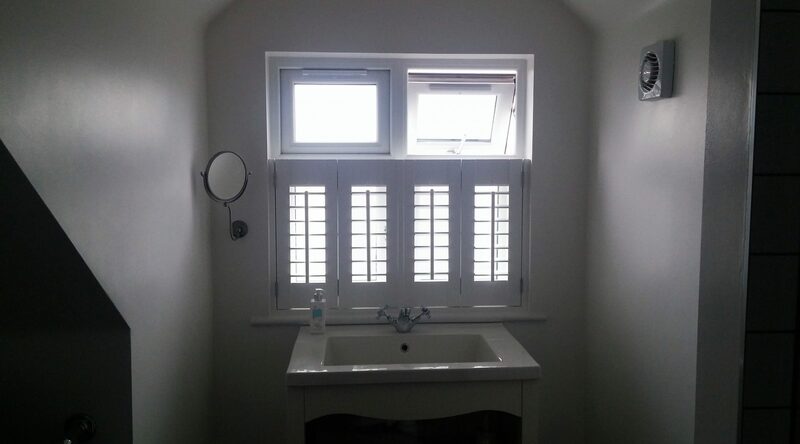 Examples of waterproof shutters we have previously installed.